Being a PMI Project Management Professional is a big thing for me. After giving the exam, i felt that i am a new person altogether. Armed with the knowledge of PMI PMP, i started getting offers for the job in the skills that i possess. Giving PMI PMP certification was amazing. 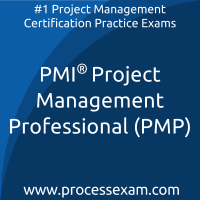 My practice on mock tests for PMI PMP helped a lot.